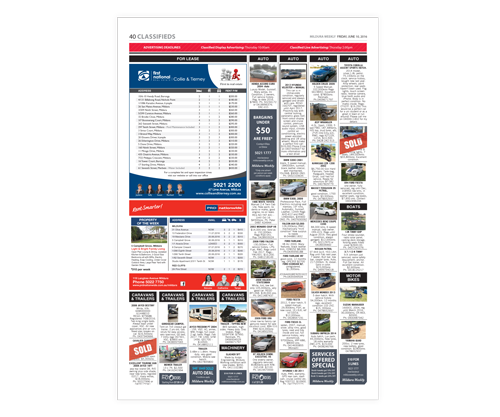 For Sale, For Lease, Public Notices, Services Offered, Used Cars and much, much more can be catered for in Mildura Weekly classifieds. 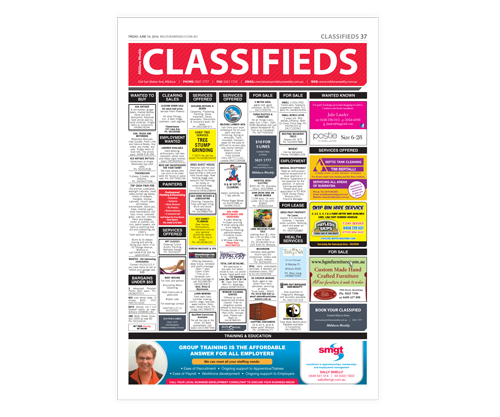 Both line and display advertising is available within the classified section, including a special Employment and Training section, along with a large For Lease section. Line Classified advertising is $6.87 per line cm, and photos, logos and pointers can be included into line advertising. 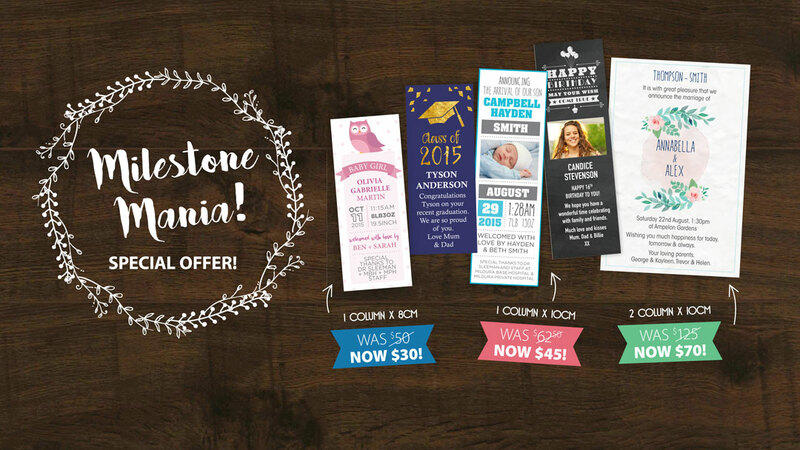 Regular package specials are available for advertisements placed in multiple editions. Contact our advertising team today for more information. and 6th classified is free! and also a digital copy. Add a photo for an extra $10. Our award-winning design team are happy to customise all personal notices to suit individual tastes. and our design team will be happy to design a personal notice to suit. Simply fill in the form below and we’ll be in contact with you shortly. Or if you would prefer to speak with someone call (03) 5021 1777. If yes, view attention getters HERE and enter title. 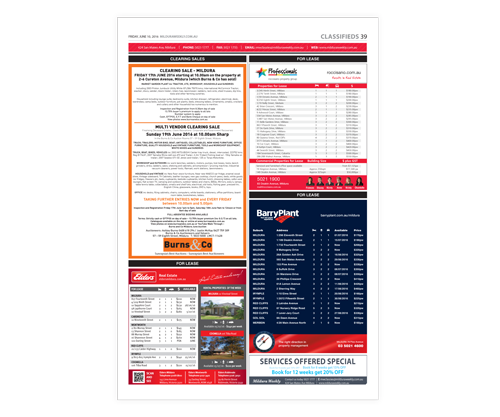 If you wish to speak with someone to place a classified advertisement, please call (03) 5021 1777.